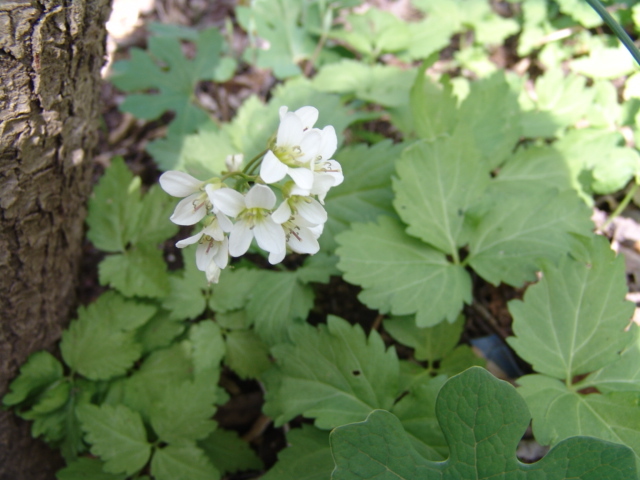 This spring blooming woodland plant is found in most of eastern North America. The rhizomes (fleshy roots at the soil surface) taste just like wasabi. 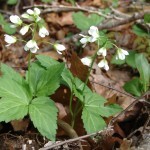 They usually likes to live in edge habitats and bloom from mid April to June. 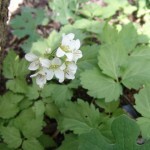 Toothwort have typical Brassicaceae family characteristics, flaunting a four petal flower which blooms in a cluster on a single stalk above a single pair of toothed stem leaves each divided into three broad leaflets. Bees and butterflies hum around it, enjoying Dentaria’s beautiful flowers and finding shelter in its foliage. 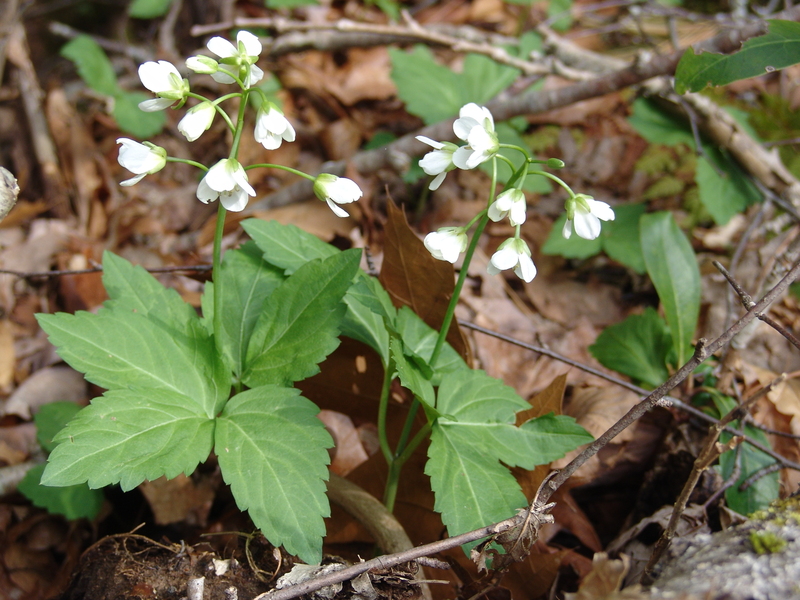 They also are somewhat ephemeral- the foliage appears in early spring- early March this year (‘13) and will often disappear by late June. Foliage will often reappear in the fall if enough moisture is available.